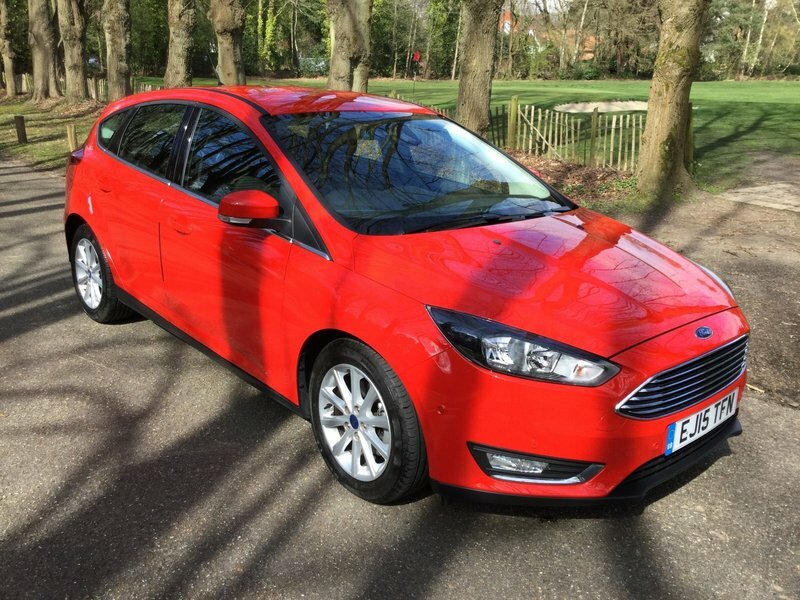 This highly sought after low mileage elegant hatchback comes with full service history having just been serviced, MOT to April 20, valid HPI certificate, the relevant handbooks, two keys and only £20 per year road tax. Sat Nav, Bluetooth, Dual Zone air conditioning, front and rear parking assist, cruise control, heated front windscreen, radio CD and USB connectivity, electric windows and power fold mirrors, remote central locking, alarm and immobilizer, trip computer, adjustable steering wheel with audio controls, hill start assist, stop/start technology, air bags, PAS, ABS, ESC, traction control, fog lights. Cloth upholstery, headrests, split folding rear seats, armrests, cup holders, height adjustable drivers seat, Isofix child preparation, large luggage area, high level rear brake light with rear wash wiper, spare tyre. This high specification vehicle is finished in race red with LED daytime running lights, 16inch alloy wheels, body coloured bumpers and wing mirrors. As with all our vehicles this comes with 12 months AA roadside breakdown cover, we are also an approved supplier with ZUTO Finance. We accept all main debit and credit cards and part exchange considered. To view by appointment only please call 07734 263618 or 01276 471431 - please take the time to view our Five Star Autotrader Reviews of which we are very proud.